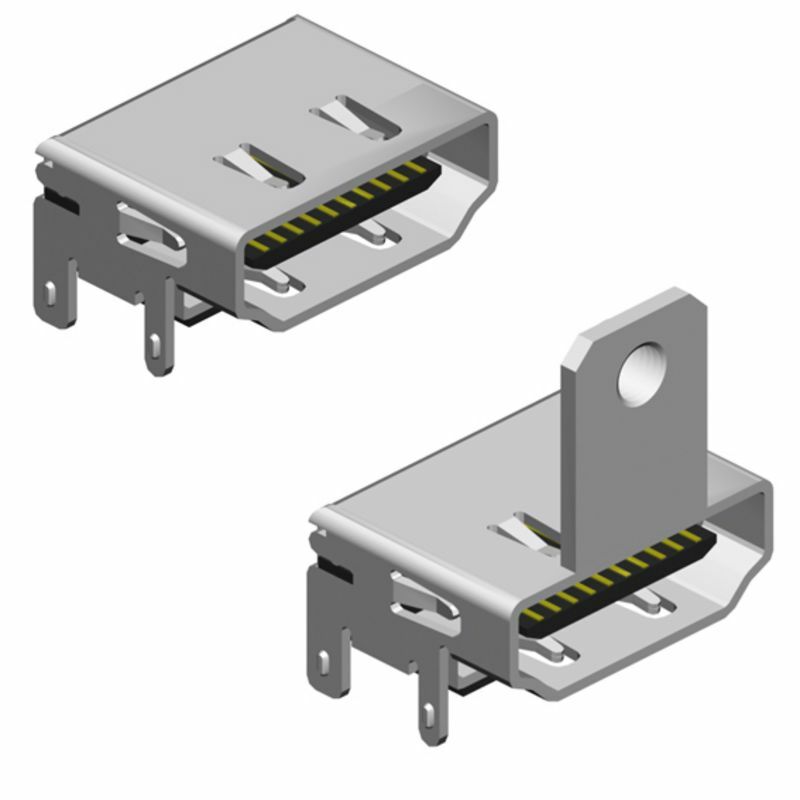 Ultra Slim Profile D-Sub connectors are used wherever you need space on your PC board. 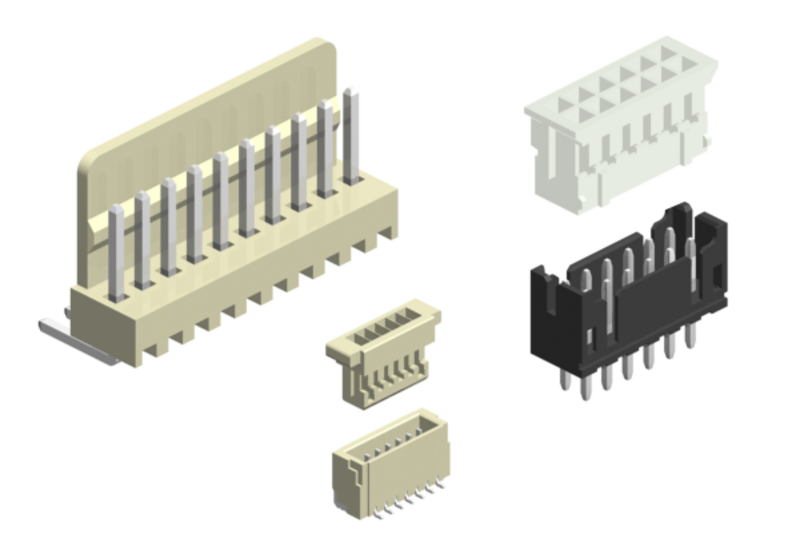 Standard and "High Density" designs in through-hole soldering and SM technology as "male" / "female", vertical / horizontal, "Wave Solder" / "pin-in-paste" technology. 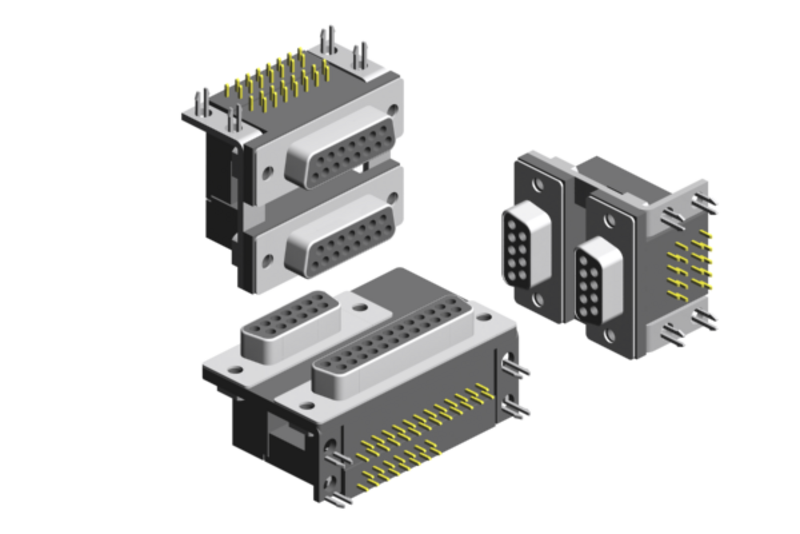 E-tec standard D-Sub connectors conform to valid specifications and industry standards such as DIN 41 652, IEC 48 B, HE 5 etc. 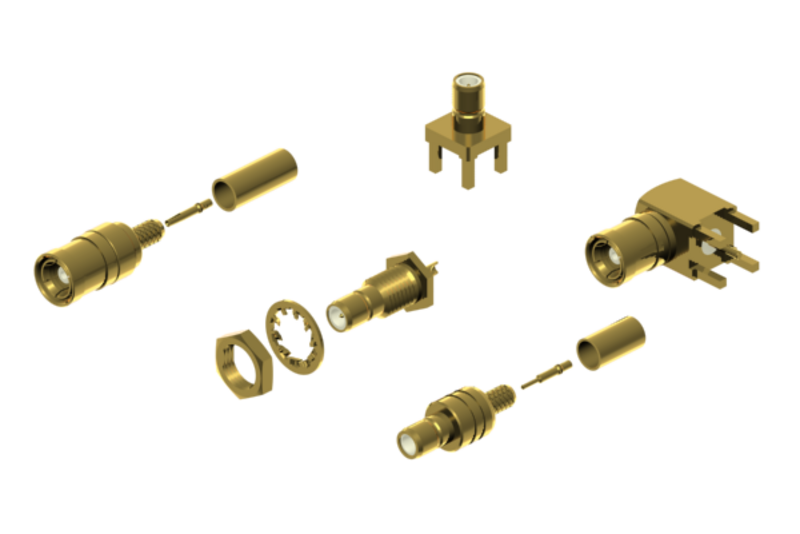 They are also compatible with all other D-Sub connectors offered on the market. 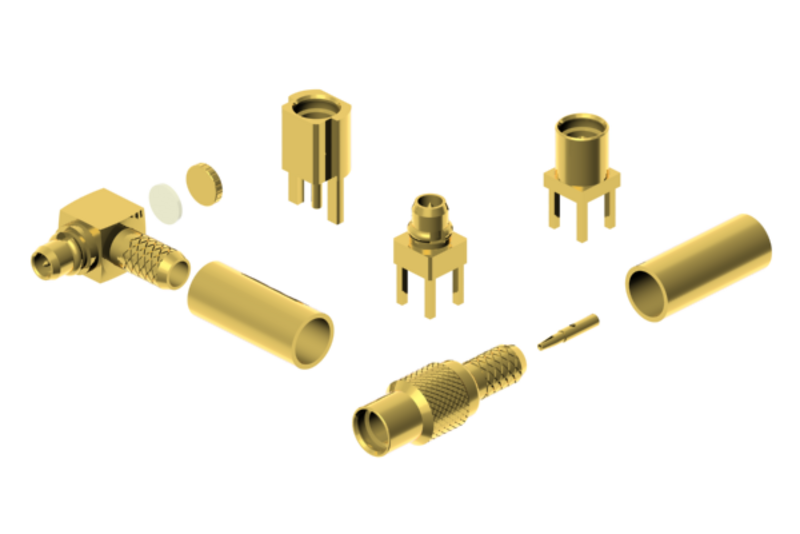 Together with a variety of accessories, the D-Sub connectors can be used in many applications, e.g. 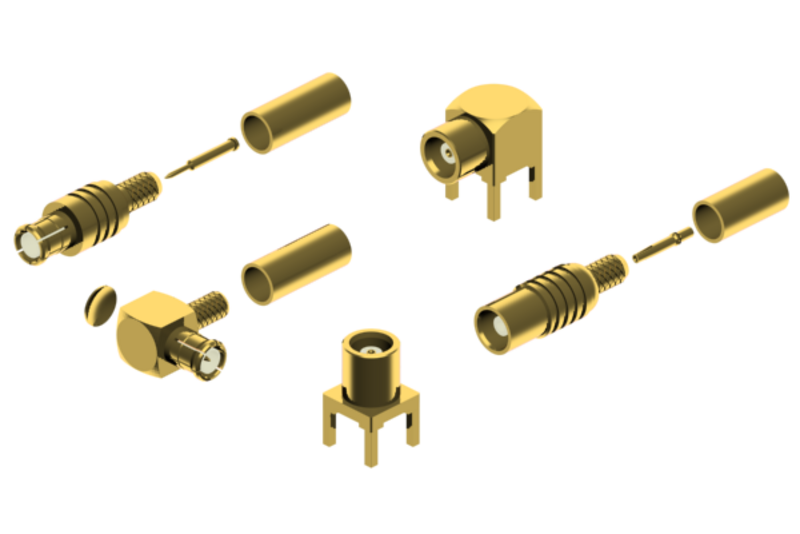 Industrial electronics, data and communications technology and many more. 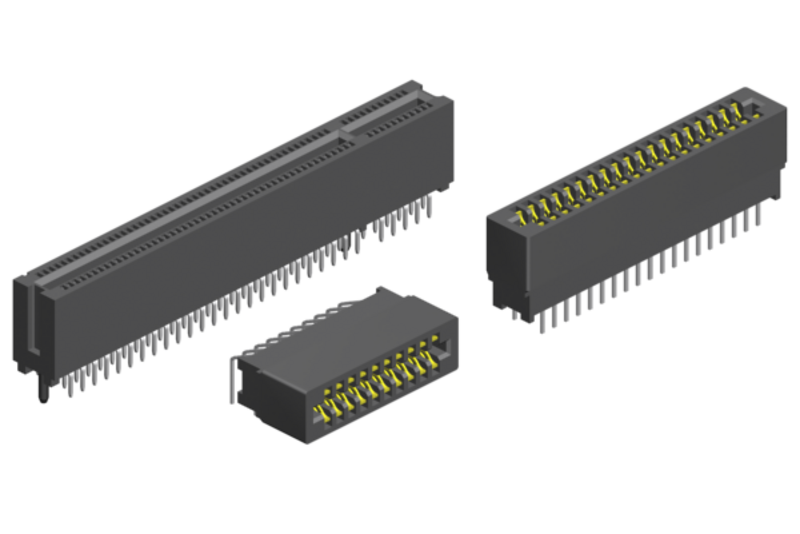 The high density (3-row) D-Sub family includes connectors for manual soldering and vertical soldering technology. 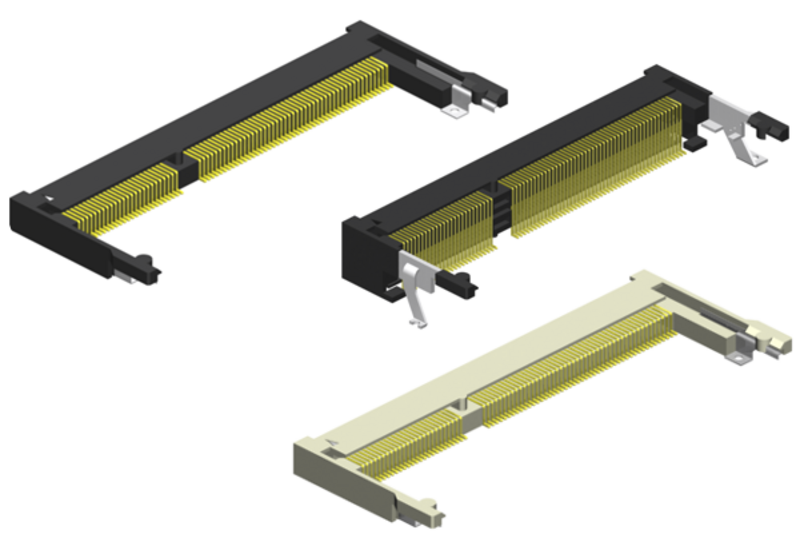 The horizontal types are also available in "pin-in-paste" technology as well as "VESA" type. 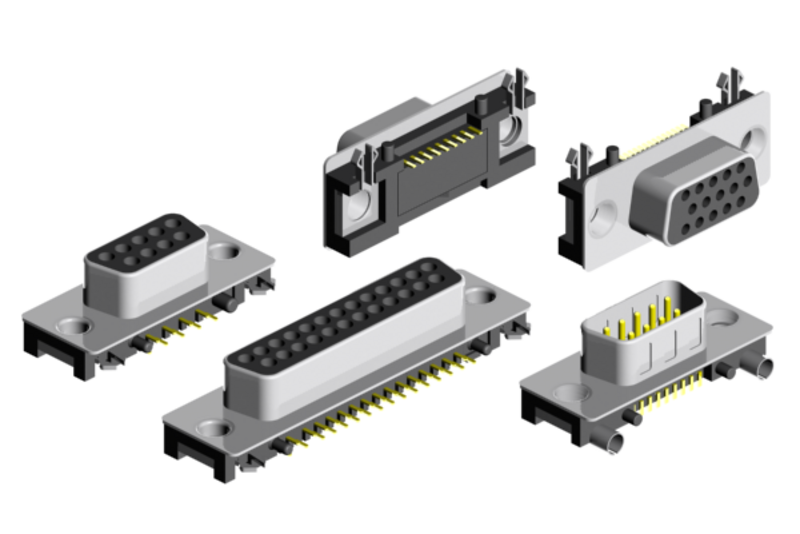 The E-tec D-Sub connectors with ferrite filters in standard and high density design are the ideal solution to reduce or even eliminate "electromagnetic interference" (EMI). 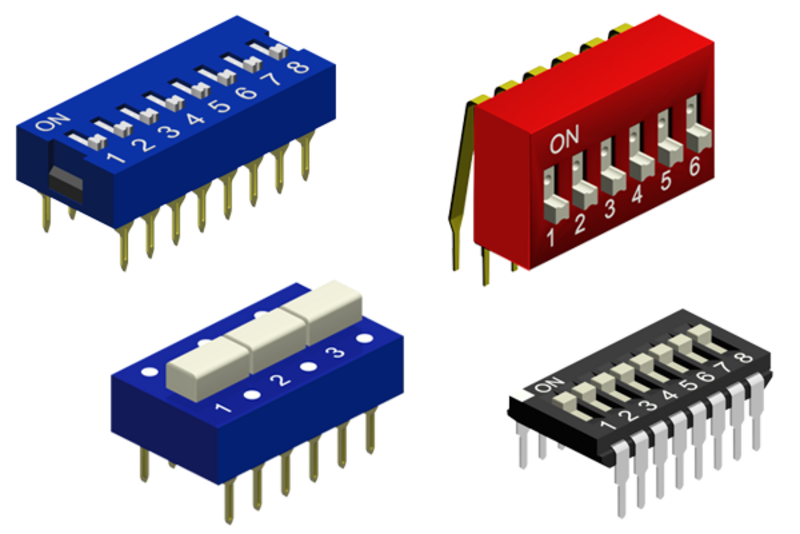 Many different designs, e.g. 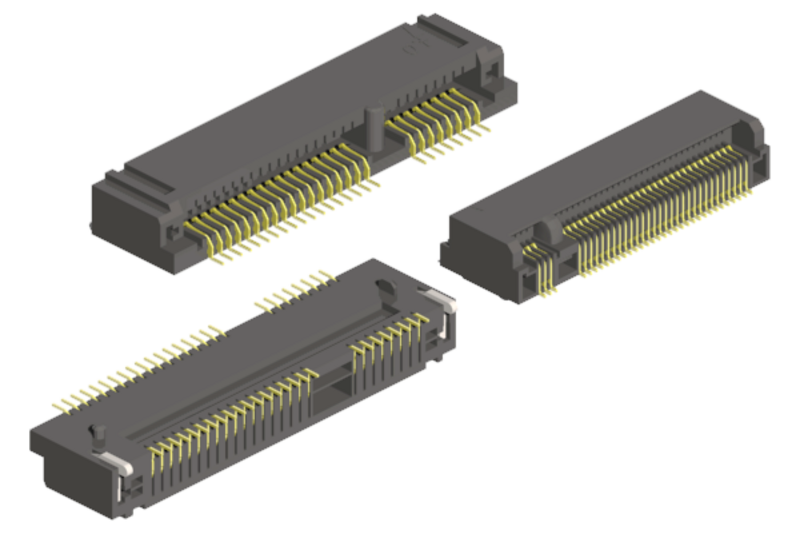 vertical, horizontal, "single port", "dual port" and "high density" are available. 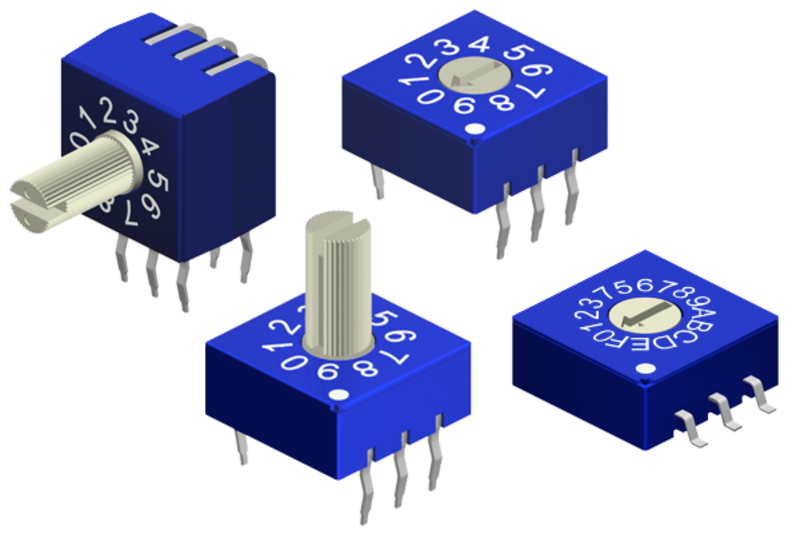 Capacitive D-Sub filter connectors on request. 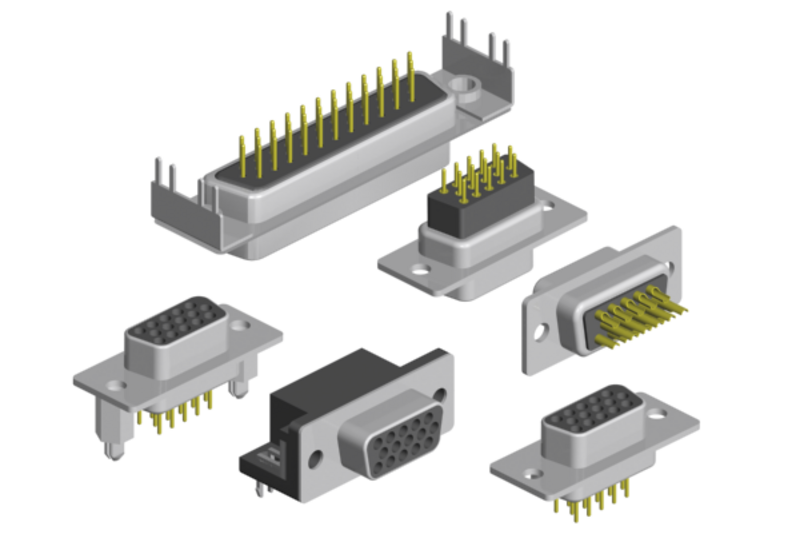 E-tec's "raised" D-Sub connectors are ideally suited for overlapping other connectors or components on your PCB. 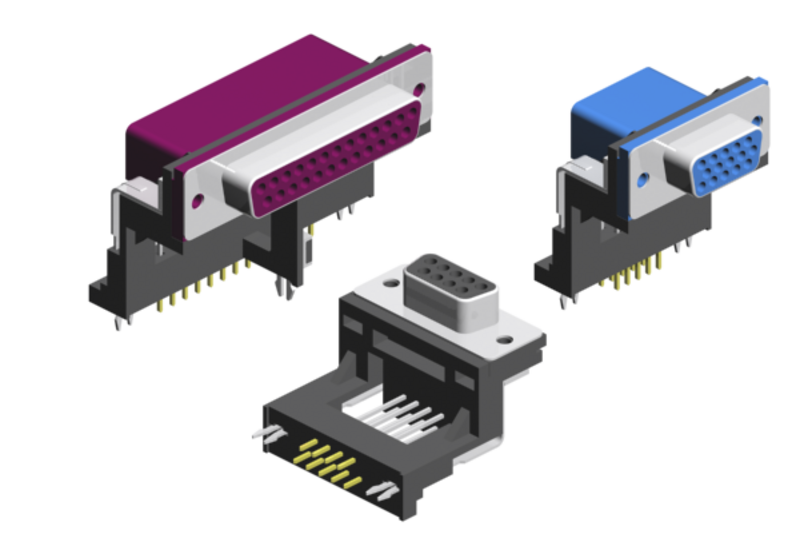 Tripple Port D-Sub connectors offer space-saving and assembly-saving "over top" construction of three E-tec D-Sub connectors. They are available in a variety of combinations and designs. E.g. 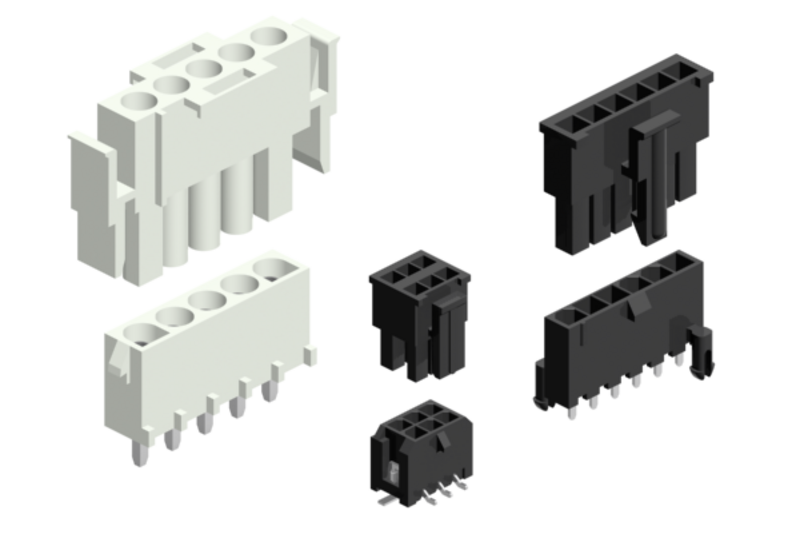 Standard and High Density, with and without ferrite filter, socket and plug also in the mix. 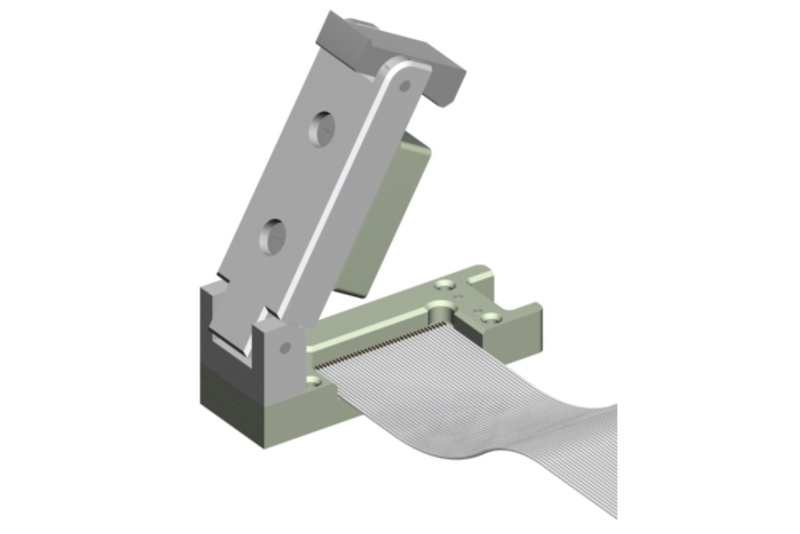 "Slide Lock" and a variety of Jack Screws as well as EMI / RFI metal hoods, plastic and metallized plastic hoods. 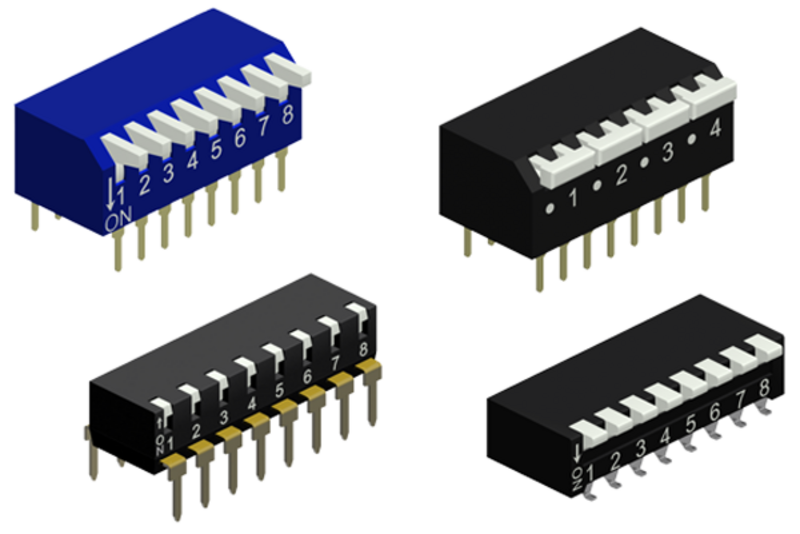 DVI (Digital Visual Interface) the interface for digital data. 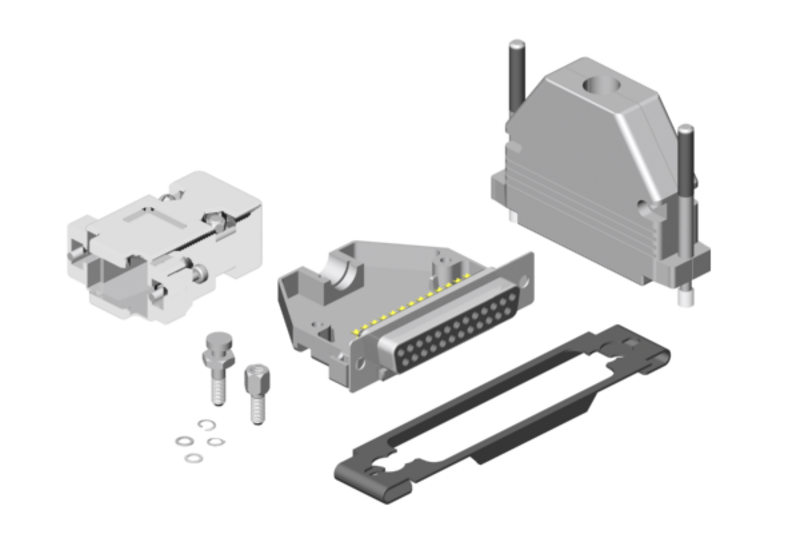 DVI has established itself as the successor to VGA. In the professional environment, this interface is now a must for graphics cards and TFT displays. Many TVs already support the DVI interface and offer the possibility to connect PC's or DVD players. 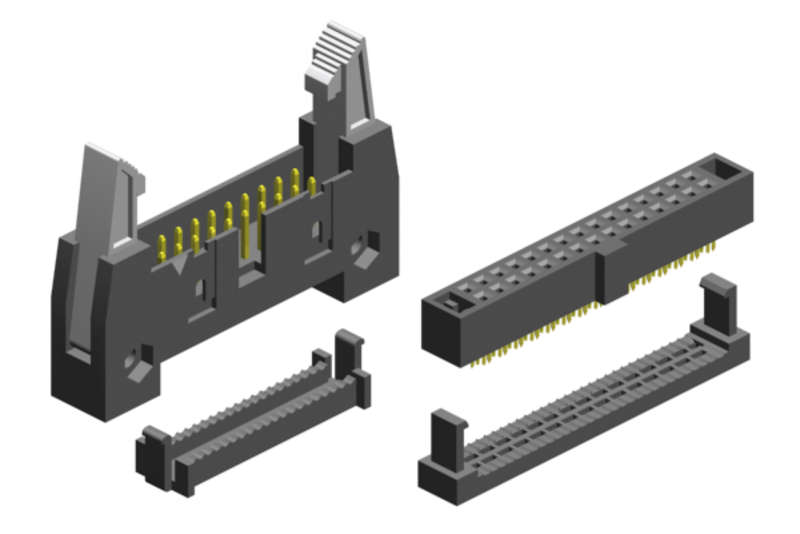 DVI-D(igital) and DVI-I(ntegrated) connectors are available from E-tec. 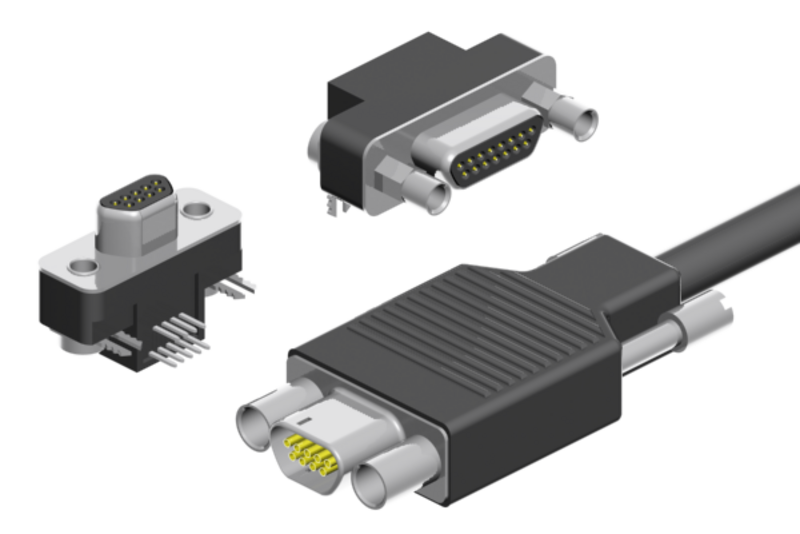 HDMI is a digital audio / video interface developed from the middle of 2002 and offers the possibility to transfer uncompressed streams. 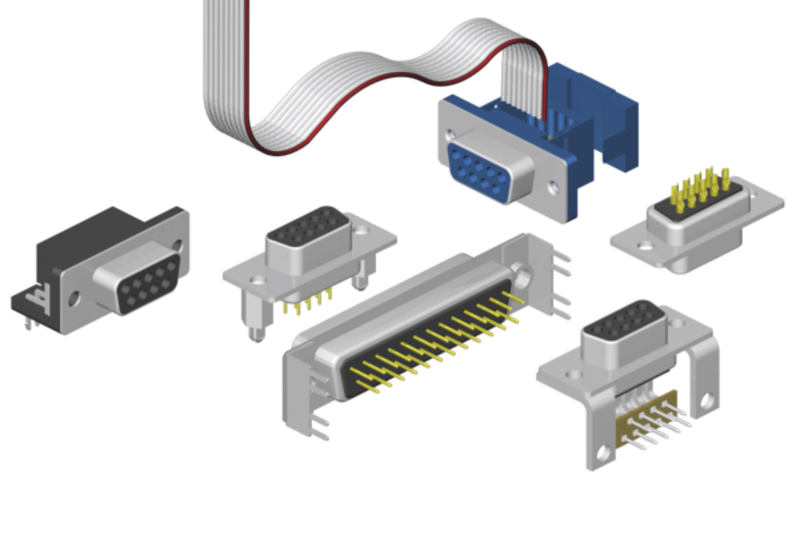 HDMI is an interface between any compatible digital audio / video source, e.g. A set-top box, a DVD player or an AV receiver, or a compatible digital audio and / or video monitor, as well as digital television (DTV). In June 2006 version 1.3 was introduced, whose standard is specifically focused on the home entertainment sector. 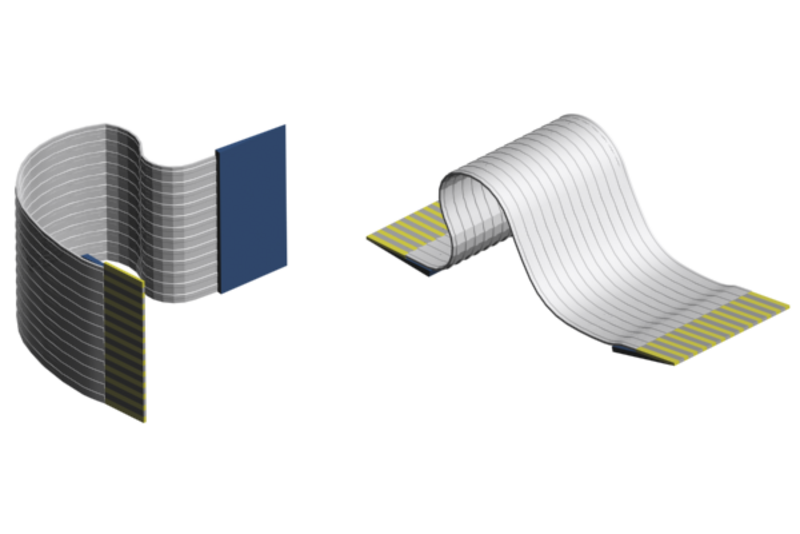 The new HDMI specification 2.1 is to be introduced at the beginning of the 2nd quarter 2017. 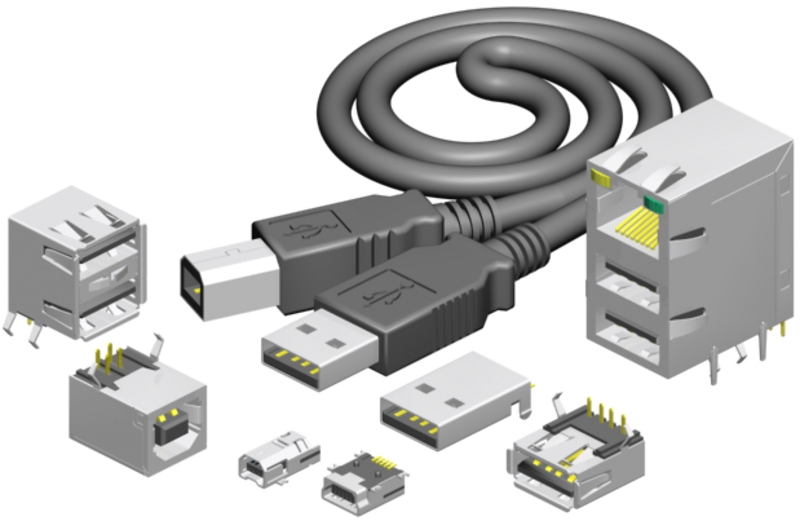 The USB (Universal Serial Bus) allows "plug & play" connections to a variety of peripherals. 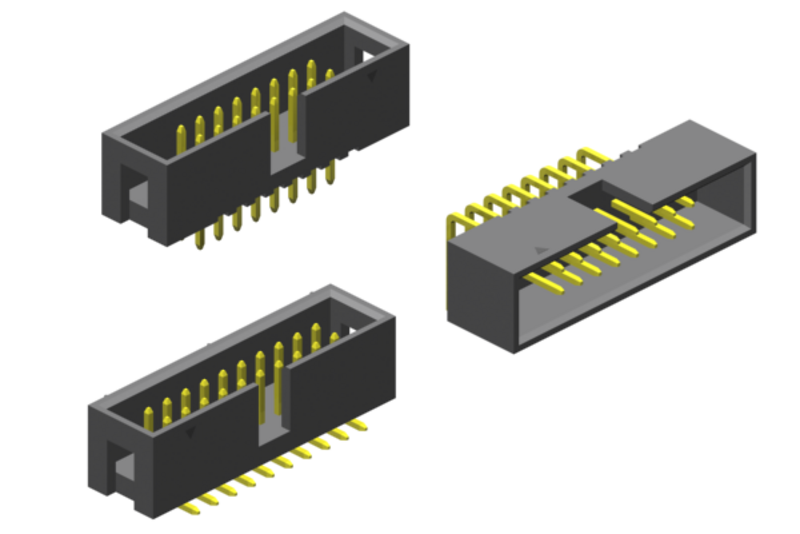 Whether SM- or Through-hole technology, standard, "mini" or "micro" design, female or male, or cable-assembled connectors of "A" and "B" as well as USB 1.0 / 2.0 / 3.0 can be found on the following pages. 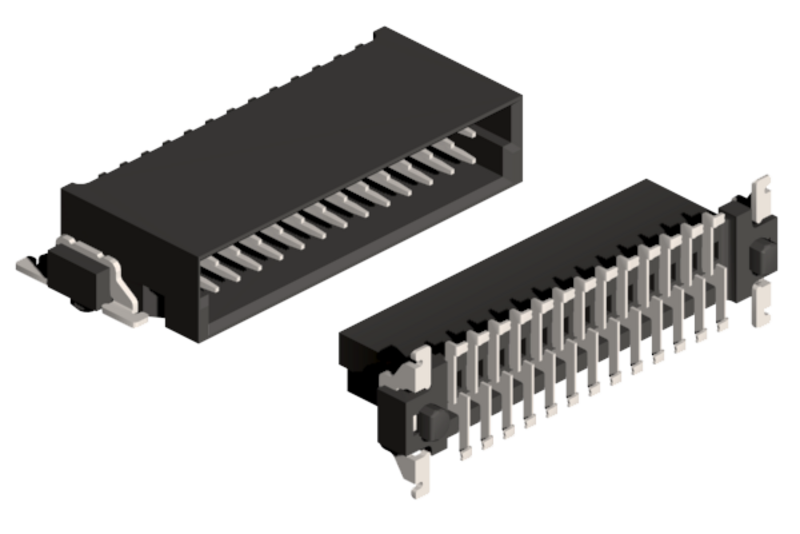 The IEEE 1394 (FireWire) interface is mainly used for fast data exchange between computers and multimedia or other peripherals, but also in industrial and automotive electronics. 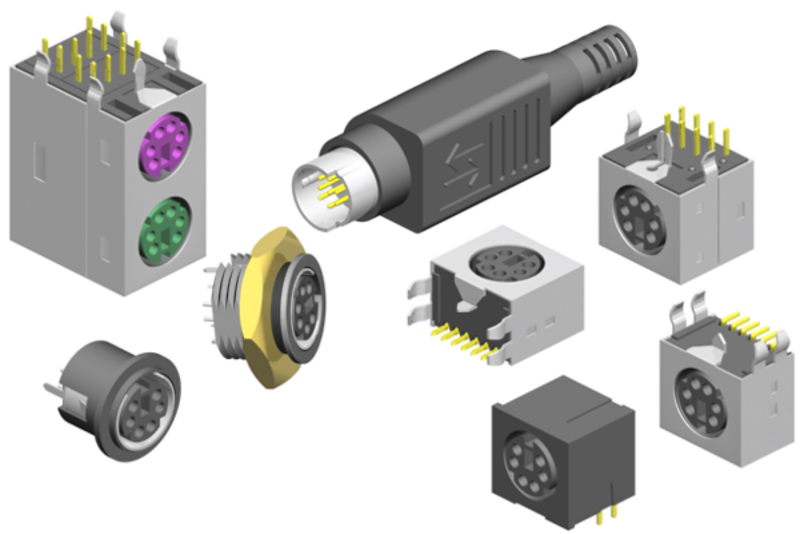 Mini DIN connectors are for computer, video, audio or other digital applications. Embodiments such as e.g. 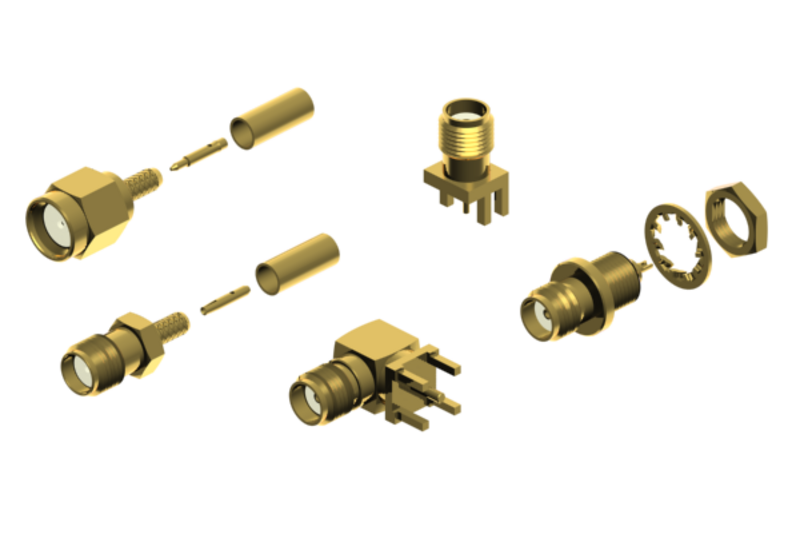 Shielded and unshielded, SM or Through-hole technology as well as panel mounting are available. 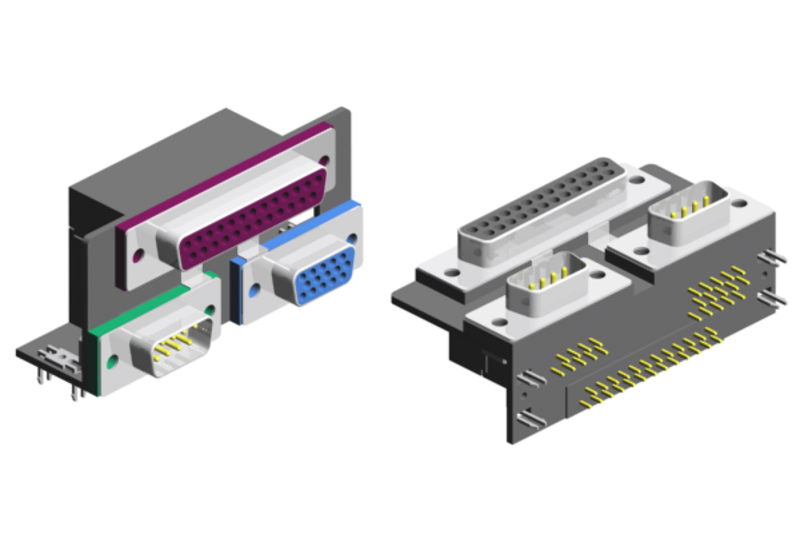 SCSI (Small Computer Systems Interface) connectors to safely connect computers with peripherals such as parallel printers, CD-ROM drives, SCSI disks, scanners etc. 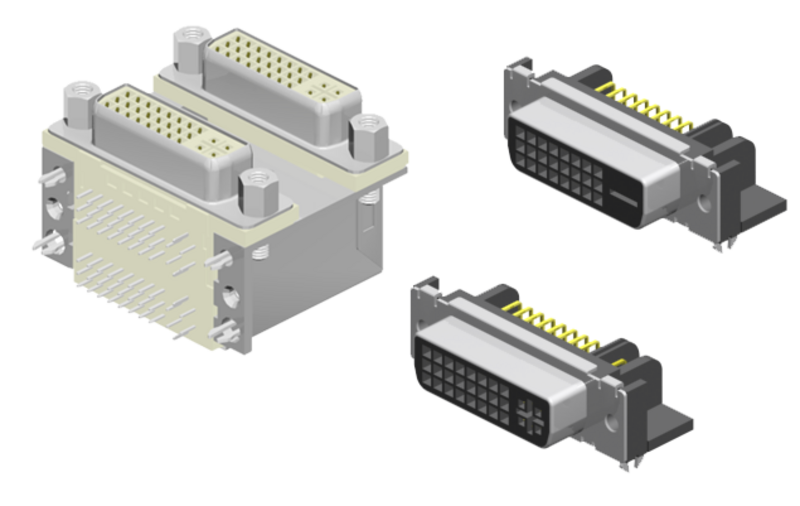 E-tec offers three different versions. 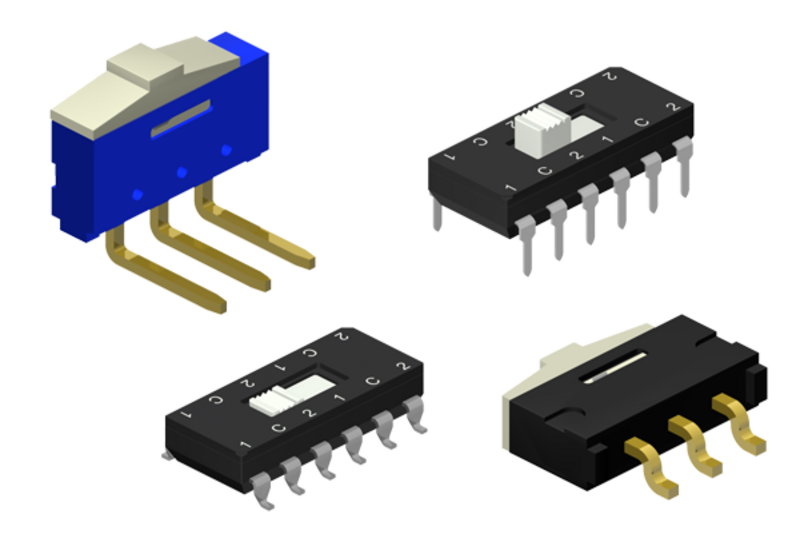 Soldering 90°, "solder cup" for manual soldering and IDC. 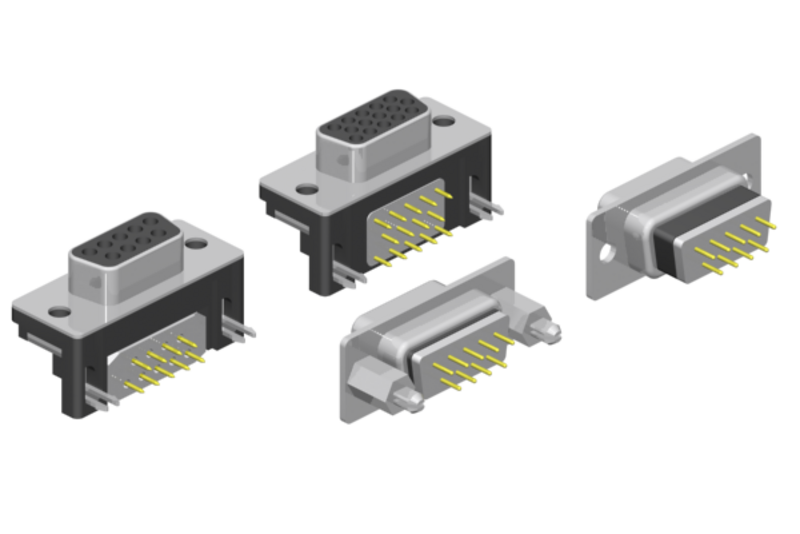 With these new Micro D-Sub connectors, E-tec offers an economical solution for commercial applications that require the density of microminiature connectors. 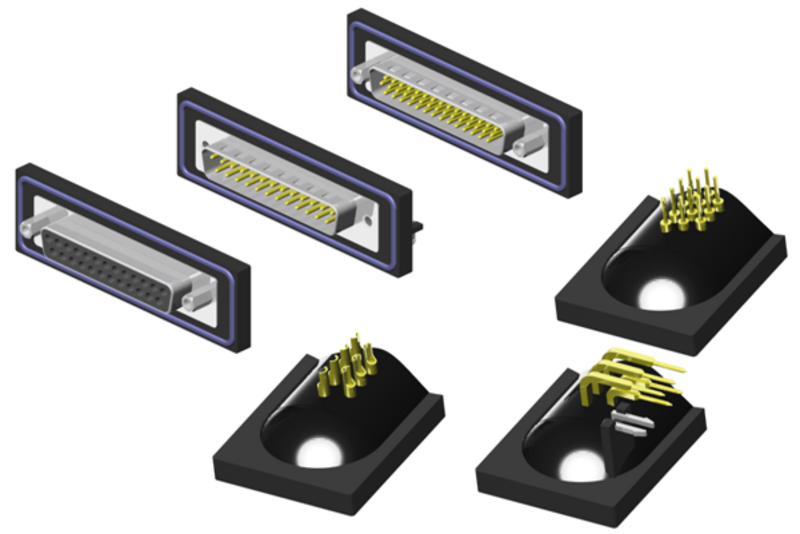 The "male" version is available as a 90° variant in THT, the "female" as a cable assembly kit. 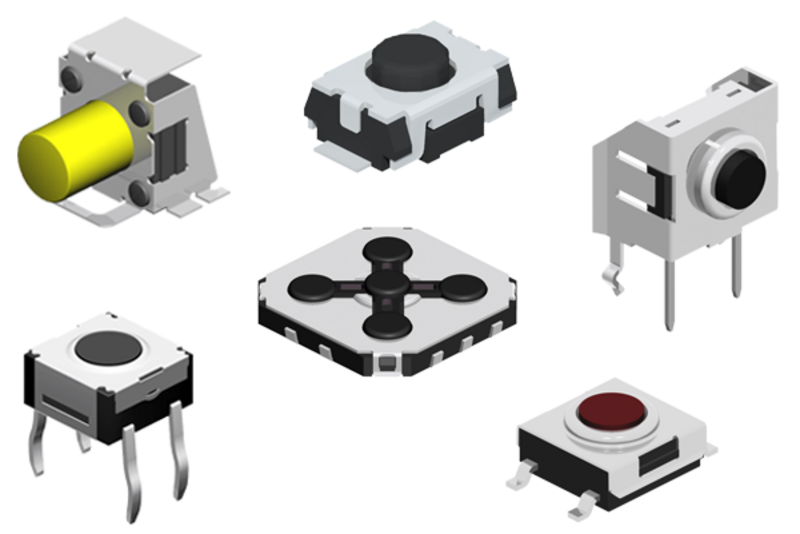 E-tec's new "Waterproof" D-Sub series guarantees the IP67 protection class. 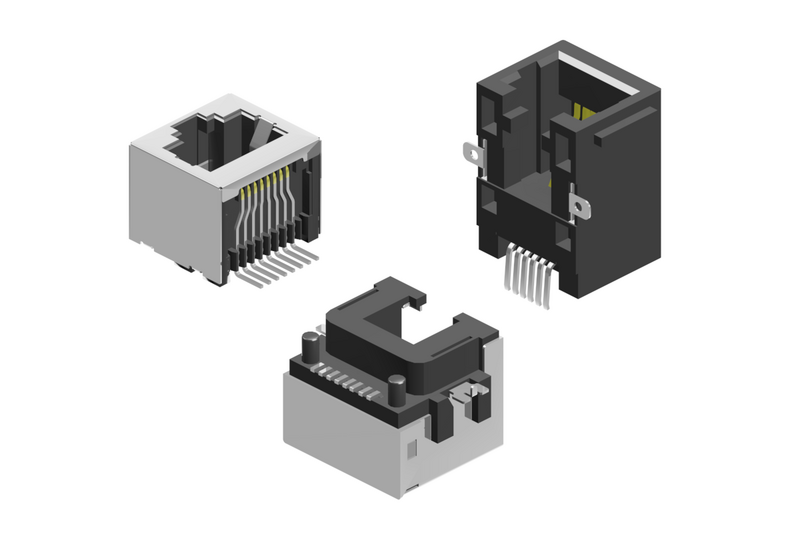 Available as a standard and high-density version for board or wall mounting, but also for attaching cables for use in waterproof hoods. 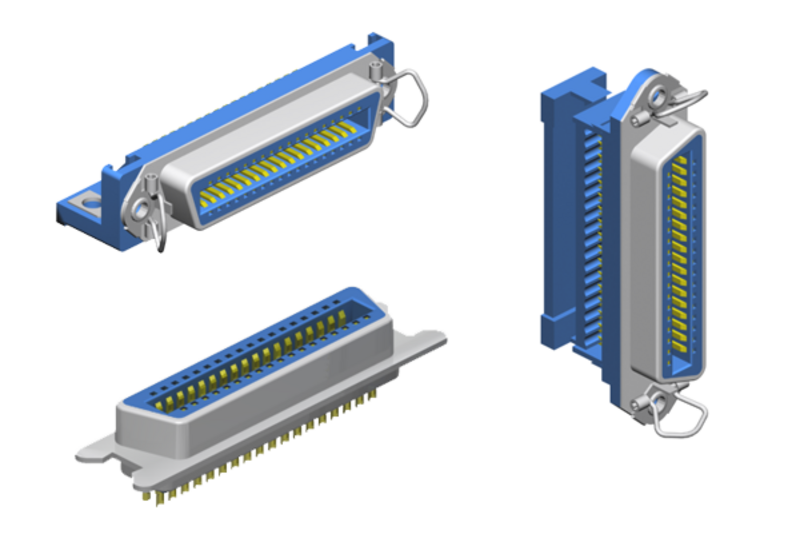 In Through-hole technology, vertical and 26° slanted version 72- and 80-pin. 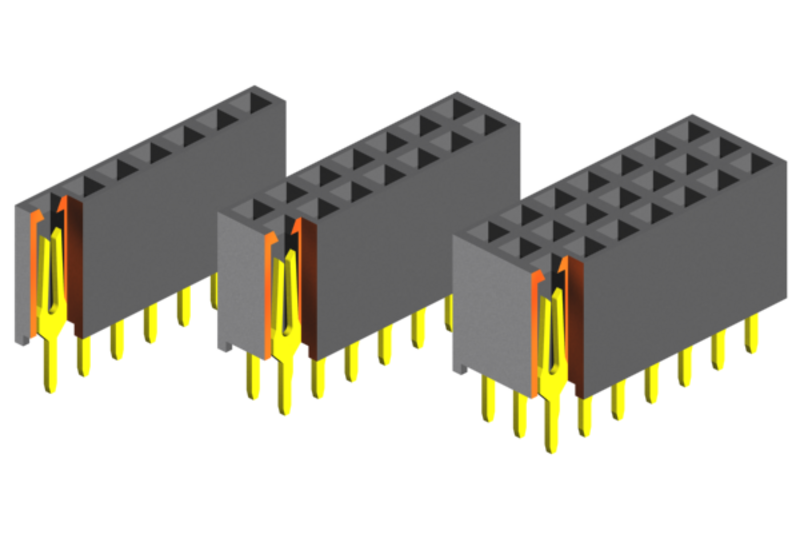 The vertical socket is also called "reverse". 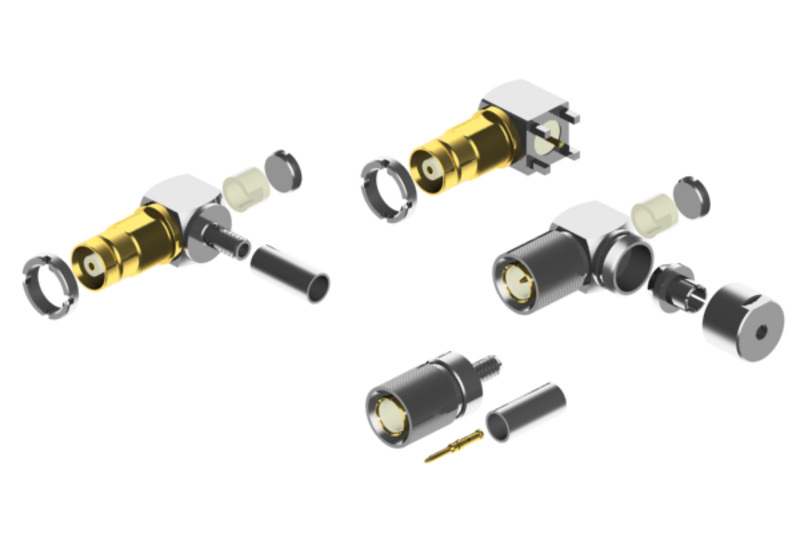 All in SM technology with punched precision contacts. 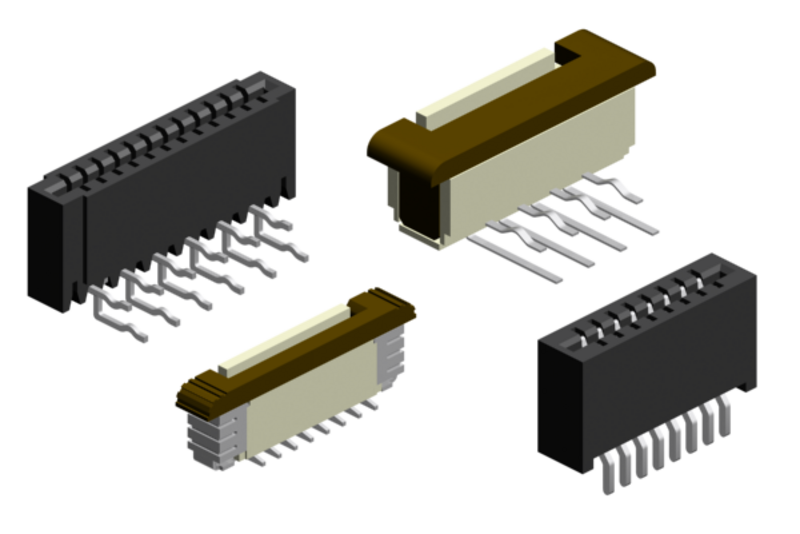 For SGRAM and DRAM 3.3V and 5.0V types 144-pin, 200-pin for 1.8V and 2.5V, as well as 204-pin for 1.5V DDR modules. 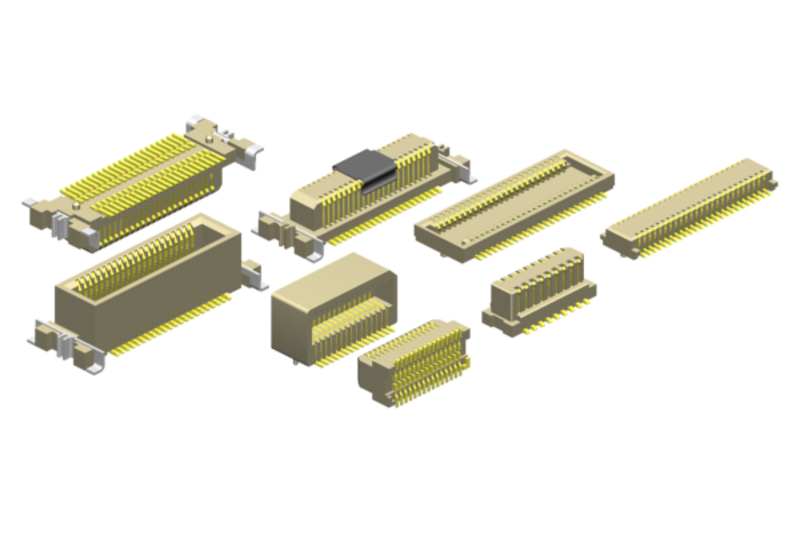 A "piggyback" version is also available for DRAM modules. 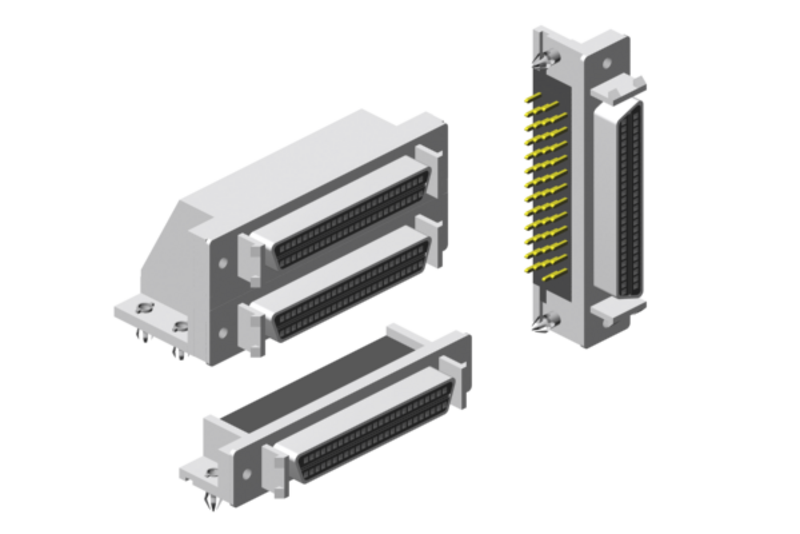 This means 2 modules are placed one above the other. 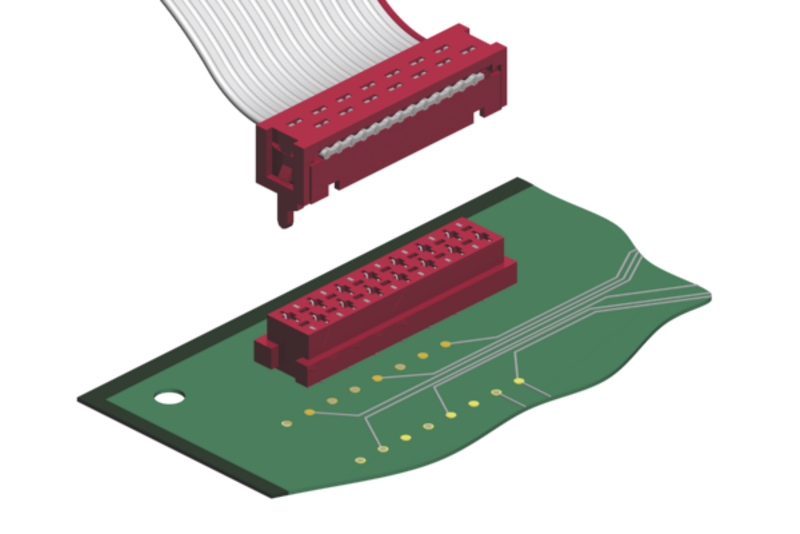 Mini PCI ExpressCard socket with a pitch of 0.80mm with 52 contacts. 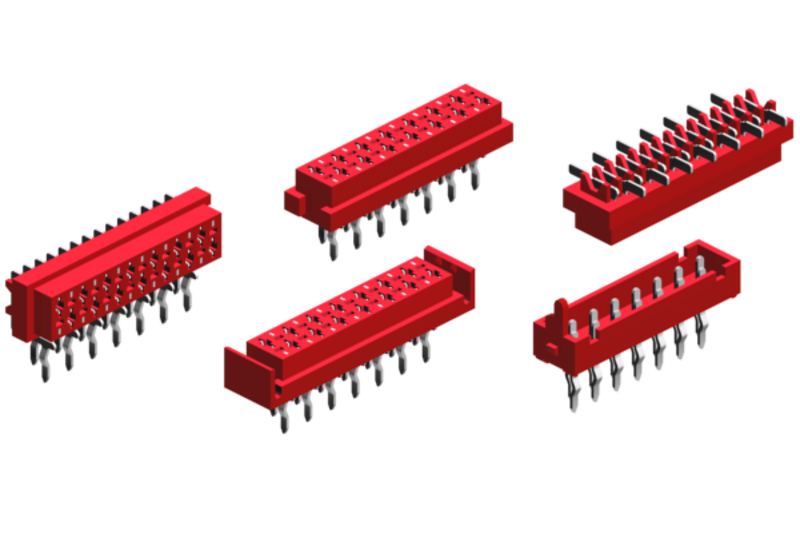 9 different heights, from 4.00mm to 9.90mm. 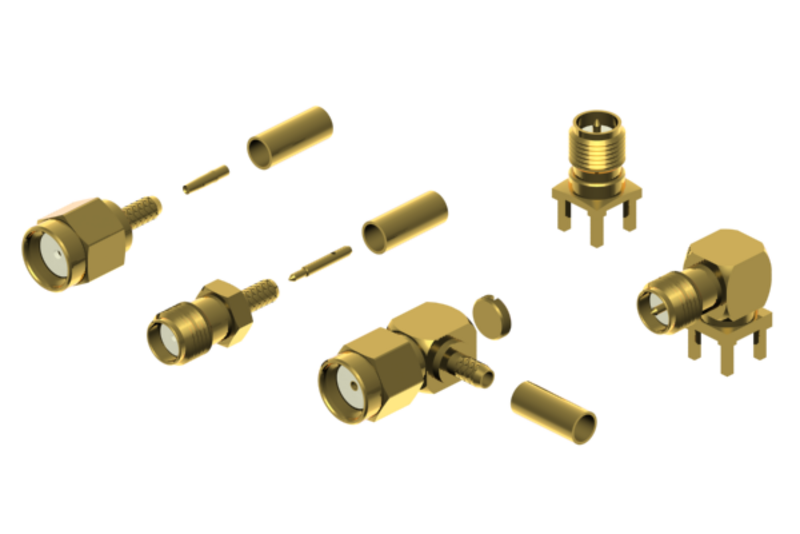 M.2 (NGFF) 3.55mm, 4.05mm and 4 key options (A, B, E and M) are available in pitch 0.50mm with 75 contacts, 2 heights. 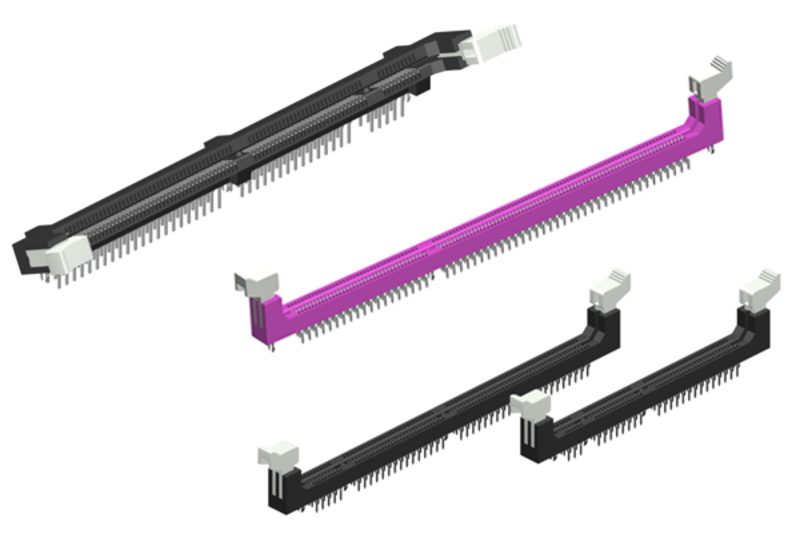 1.27mm pitch for PCI 32bit and PCI 64bit. 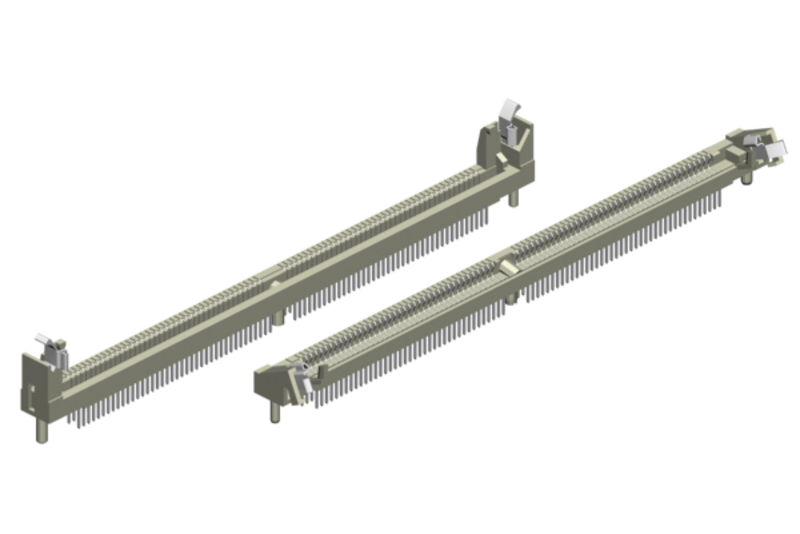 2.54mm pitch vertical and horizontal. 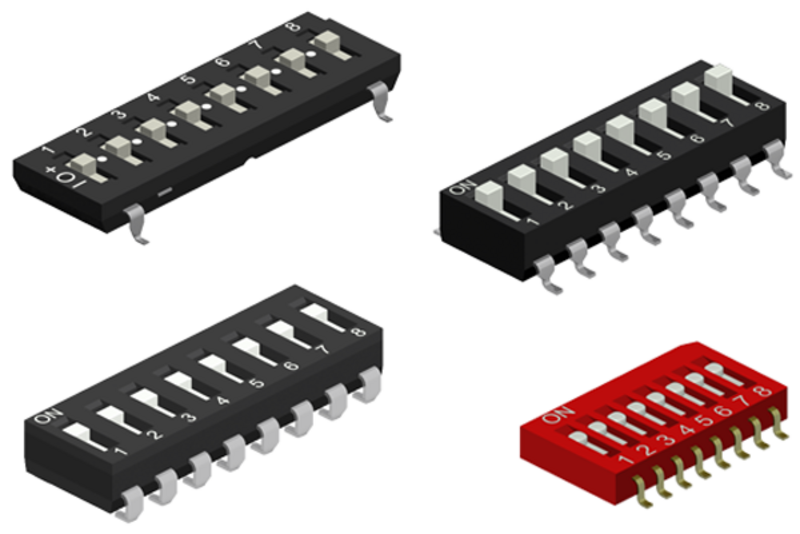 In addition to the Through-hole soldering (THT), SMT versions are also available.